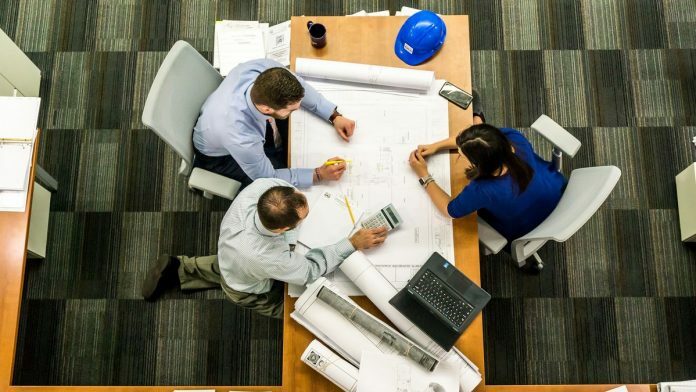 Chandramouli Venkatesan, an MBA professional himself, says that if non-MBAs don’t want MBAs to have an advantage over them, they should be comfortable losing the advantage of their education to uneducated people. The other barrage of questions I have faced has been from non-MBAs who feel frustrated that their careers don’t progress as much as those of the MBAs. I am using MBA versus non-MBA to exemplify the situation of having, or not having, a fancy degree. I have heard disgruntled BCom students who feel that CAs get an unfair advantage, diploma holders who feel engineers get an unfair advantage, and even, for that matter, Tier-3 who feel Tier-1 MBAs get an unfair advantage. So when I deal with an MBA versus a non-MBA situation, the solutions and the principles apply to all such situations. The first thing to do is to address the psychological aspect, i.e. not have a victim mindset. Stop thinking that it is unfair that the MBA gets an advantage over you—that is not going to solve your problem. The world is not going to change overnight; you have to change if you want to succeed. The beginning of that change is to stop blaming the world for your problems. I was conducting a session in a company once and was asked a question by one such person, who felt that not doing an MBA had put her at a disadvantage, which she felt was unfair. It was clear from the tone of her question that she believed that those who gained by doing an MBA did not really deserve it, and the degree provided an unfair advantage. I asked her about her educational qualifications and she told me she had graduated with a BSc in Maths. I then asked her a question: There are many people who finish high school but don’t go to college after that. The highest qualification they have is twelfth grade at high school. I asked her, should she have an advantage over such people because she has done a BSc? She fumbled, but the question hit home. She understood that she wanted to retain the advantage her BSc gave her over those who have just done twelfth grade, but she felt it was unfair if an MBA got an advantage over her. If you don’t want an MBA to have an advantage over a non-MBA, you should be comfortable losing the advantage of your education to an uneducated person; it has to cut the same way in both situations. Hence, the starting point to resolving this is to stop thinking of yourself as a victim, stop thinking of fairness and unfairness, and start to think about what you can do to get better to improve your career. Sorry for the strong words—I am an MBA myself and hence, you might feel that it is easy for me to say this. But if I don’t get you to change your thinking, you will not make progress, and my strong words have only that intent. I observed that in the first year of the role, the nonMBA often performed much better than the MBA in a similar role. I observed that in the second year of the same role, the non-MBA did not show a significant improvement in performance compared to the first year, but there was a remarkable improvement in the performance of the MBA; they often outperformed the non-MBA. The non-MBA had high familiarity with the domain, having come up the ranks. In the first year, they performed better because they already had many of the answers. The MBA had zero domain familiarity in the early stages and no ready-made answers, and hence, they struggled initially. The MBA, however, had a GBM (Get-Better Model) that allowed them to learn rapidly and get better to a remarkable extent in their first year, which improved their performance in the second year. The non-MBA lacked the GBM, and hence, they performed similarly in their second year. Their answers to the situations remained the same. They did not evolve. As a result, I concluded that the difference in careers was because the MBAs seemed to have a better GBM, got better faster and their ability to learn was higher. The benefit of the education is not the rubber stamp of the degree, but the learning ability, the GBM, it creates. MBAs often get the more complex, challenging roles, which allow them to get better at an even more rapid pace. Senior managers in the organization often have a different approach to managing the two groups of people. I find that senior managers primarily focus on relationship-building with non-MBAs, investing in getting to know them better and building a personal relationship to cultivate loyalty. With MBAs, I find that senior managers often focus on coaching and helping the MBA get better, teaching and developing them. Now, some of this stereotyping is justified as there is a difference in the GBM quality. The organizational stereotyping is only a response to its accumulated experience of dealing with these two groups. I recognize that some of the stereotyping and consequent actions might actually be the root cause of the GBM difference. It is difficult to say which is the chicken and which is the egg, but to some extent, they are both true. Most times, the response of a non-MBA to a stuck career is to say, let me also do an MBA and get the rubber stamp of the degree. Many pursue evening MBA or postal MBA, and some even take a few years’ break from work to do a full-time MBA. After that, they are often disappointed because it seems to make no difference to their career. That is because there is a distinct difference in quality between the good B-schools and the average B-schools. The good MBA schools go beyond the curriculum to actually help develop a student’s GBM. While the average MBA school does impart textbook knowledge, it does very little to improve the GBM and the learning ability of the student. And as I mentioned above, the career advantage of an MBA is not the rubber stamped degree, but the superior GBM the education helped them build. Unless you do an MBA from a quality institute that goes beyond giving you a degree to building the GBM, it will not work. You will only be wasting your time and your money if it does not change your GBM. Hence, as a non-MBA, the problem you have to solve is not the absence of the degree, but the possible absence of a GBM. You have to focus on improving your ability to learn, your GBM. If you do that, in a very short time, your career will advance and you will find that there is no difference between you and the MBA. If your GBM is as good as the MBA’s, your career will be as good as the MBA’s, even without the degree. 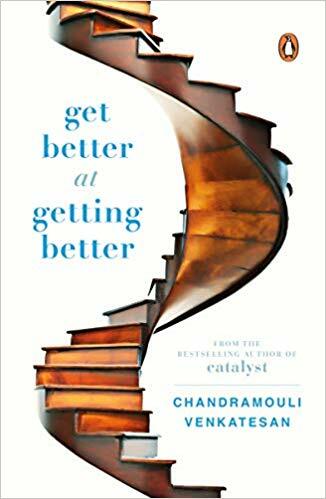 This excerpt from the 2019 book ‘Get Better at Getting Better’ written by Chandramouli Venkatesan has been taken with permission from Portfolio Penguin, an imprint of Penguin Random House. Nonsense. MBA’s often have a large debt looming over their heads and it gives their managers who lack the right people skills power over their hires. There’s an inherent value to a bachelors degree because it equips people with skills n abstraction unlike an MBA degree that points to castles in the sky.